This edited research volume explores the development of what can be described as the ‘critical turn’ in intercultural communication pedagogy, with a particular focus on modern/foreign language education. The main aim is to trace the realisations of this critical turn against a background of unequal power relations, and to illuminate the role that radical culture educators can play in the making of a more democratic and egalitarian social order. The volume takes as a starting point the idea that criticality draws on a number of intellectual traditions, which do not always focus on social and political critique, and argues that because ideological hegemony impacts on the meanings that people create and share, intercultural communication pedagogy ought to locate itself within wider socio-political contexts. 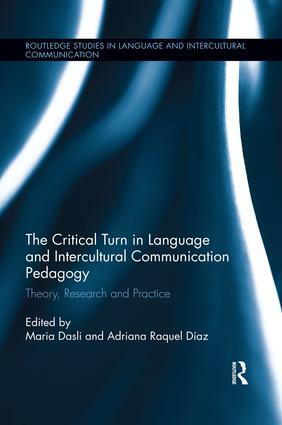 With reference points drawn from critical and transnational social theory, critical pedagogy and intercultural theory, contributors to this volume provide readers with powerful ways that show how this can be achieved, and together assess the impact that their understanding of criticality can make on modern/foreign language education. The volume is divided into three major parts, namely: ‘theorising critically’, ‘researching critically’ and ‘teaching critically’.